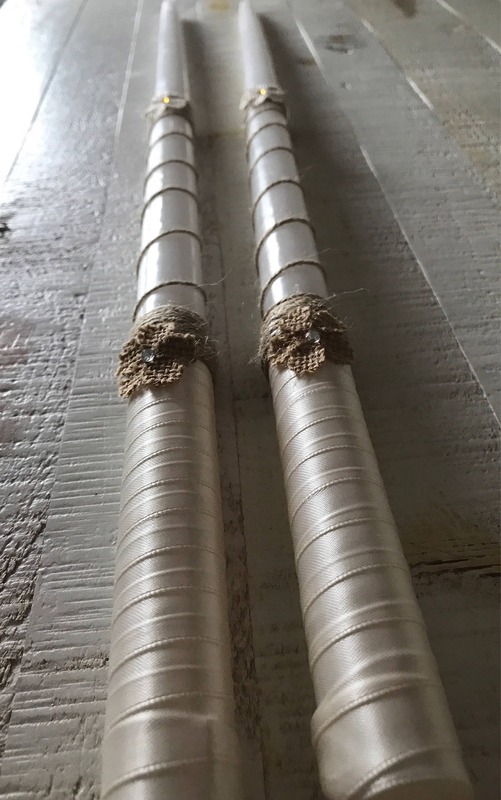 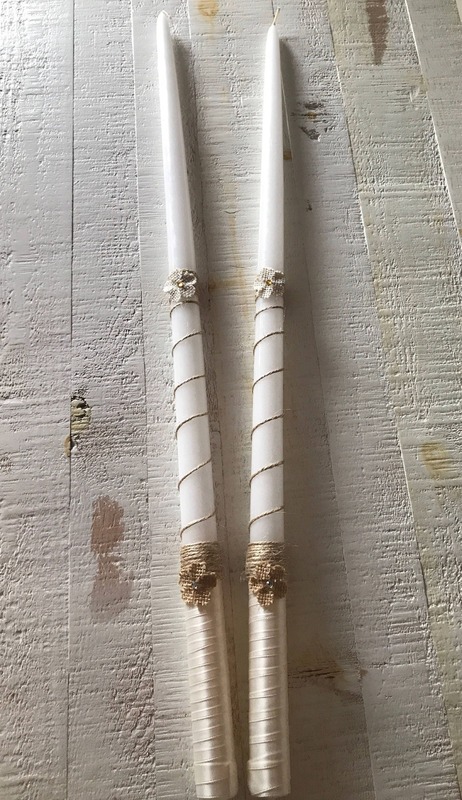 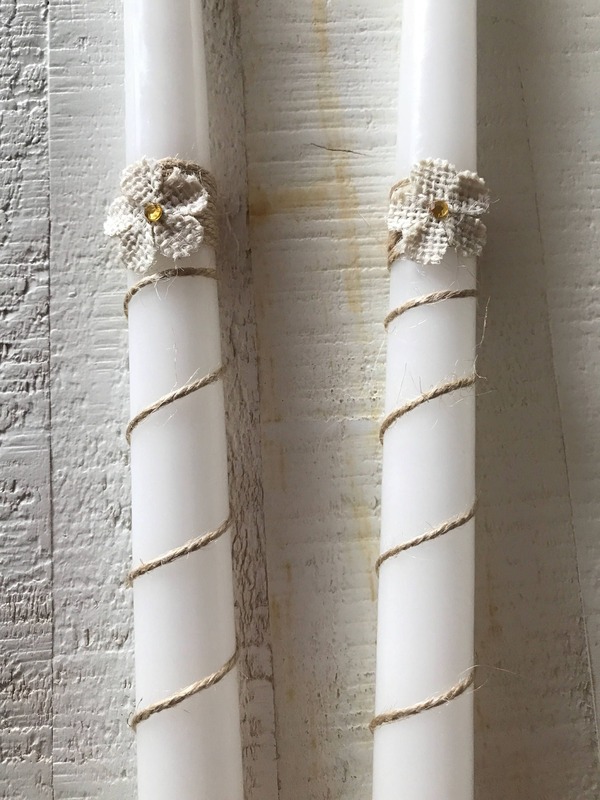 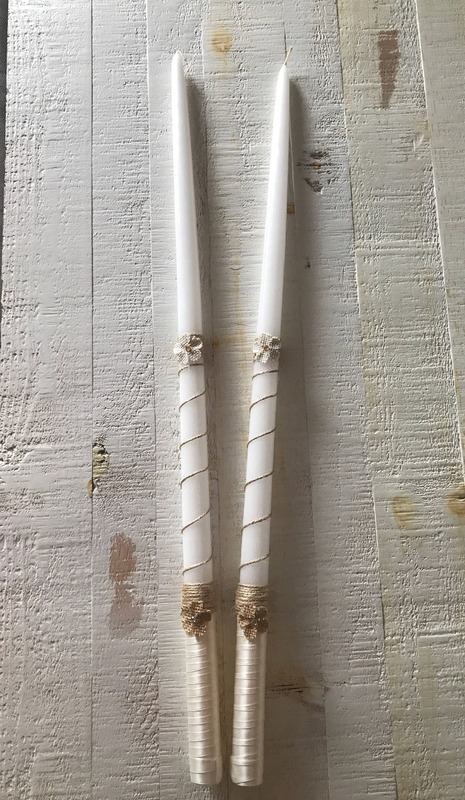 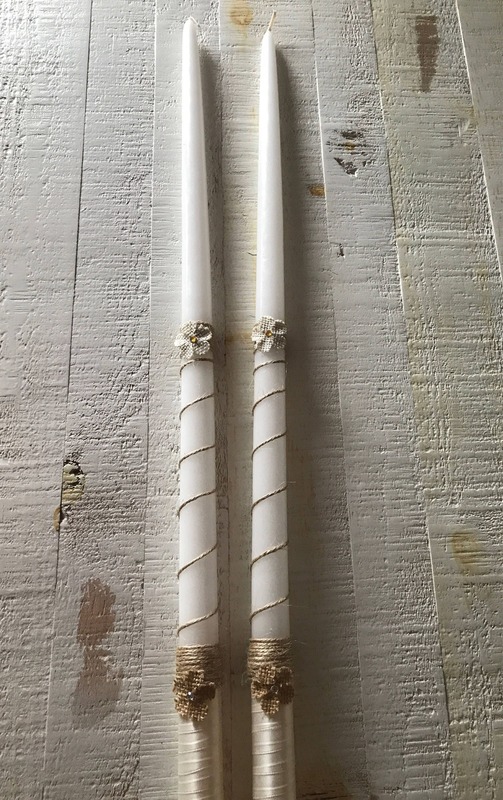 Two white taper candles wrapped delicately with ivory double sided satin ribbon for a beautiful classy look as well as to avoid melting from the warmth of your hands after holding the candles for an extended period of time, beige twine and beautifully decorated with burlap flowers. 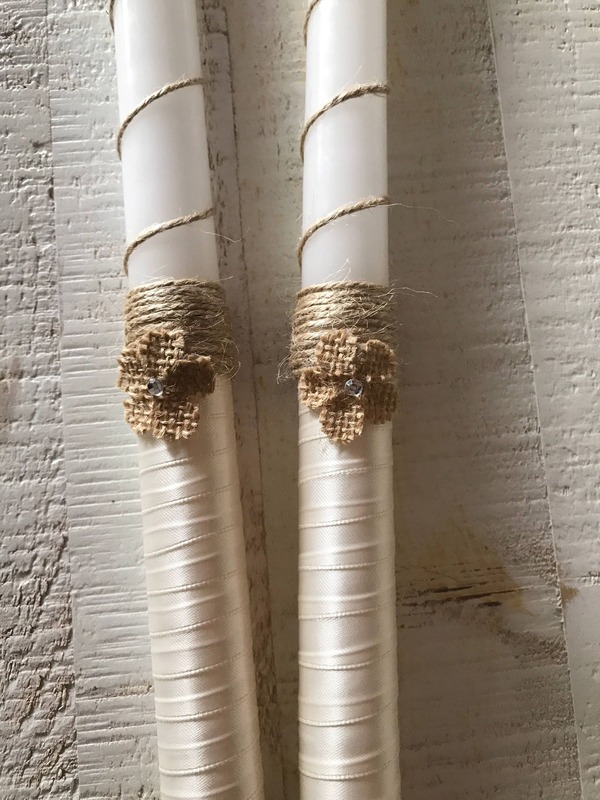 These candles are perfect for that couple, who enjoy the outdoors and love the rustic look. 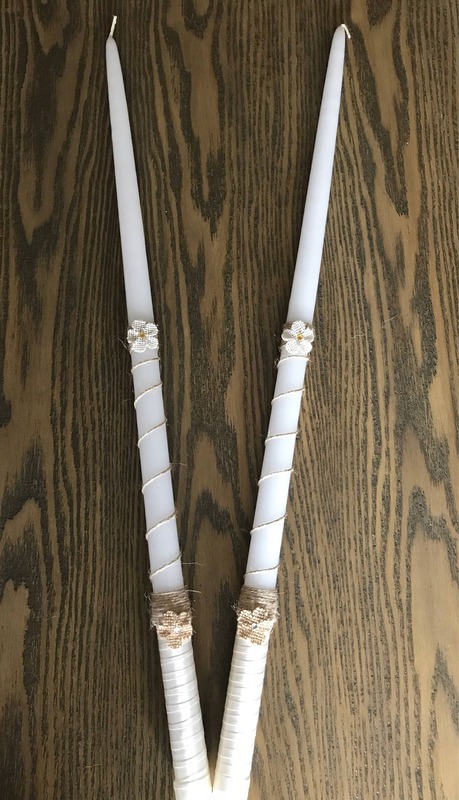 *available in 18" or 24"